How Much Does Bathroom Underfloor Heating Cost? 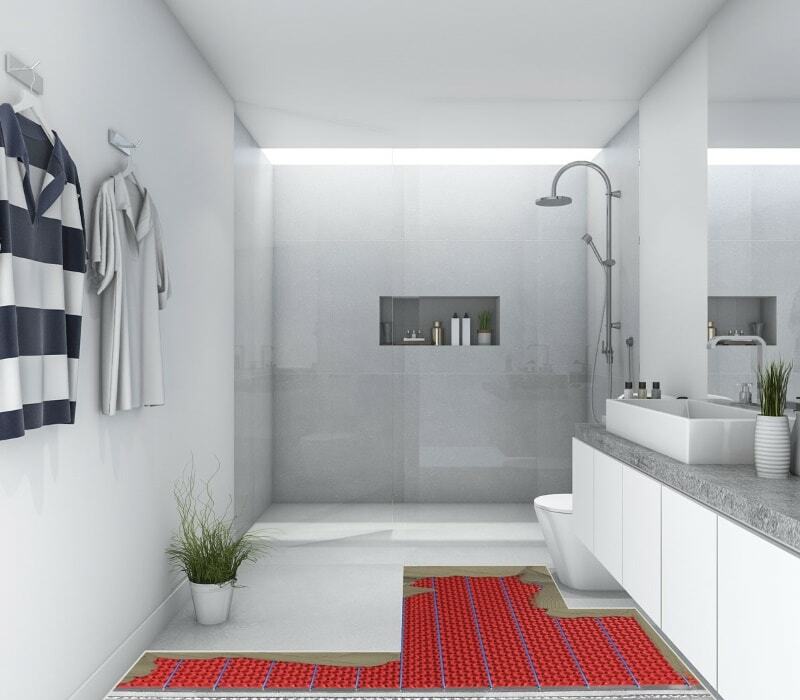 Underfloor heating provides a space-efficient and cost-effective solution for your bathroom’s heating needs; offering freedom of design and true warmth and comfort. In this article we’ll give you a good understanding of the initial installation costs, running costs and the long-term savings of heating your bathroom with an underfloor heating system. The cost of a Warmup System is dependent on which system you choose and the size and requirements of your bathroom. Our most popular electric floor heating systems for a bathroom are the StickyMat, DCM-PRO Heated Decoupling Mat and Loose Wire Systems. These systems don’t raise floor-levels substantially and are quick to install and easy to use. The StickyMat System offers rapid installation and is perfect for regular-shaped bathrooms, the DCM-PRO’s decoupling mat helps prevent damage to tiled floors and the Loose Wire System (also known as DWSWire) is a great choice for smaller bathrooms. The breakdown above covers the system itself, Insulation Boards underneath the system to maximise on the energy-efficiency and a Warmup thermostat to control the floor heating. All this would retail at £455.78 + VAT – or less than the price of a typical new bathroom suite. We understand that every project is different so to find out which system is the best for your project’s specification, contact the Warmup team who will be more than happy to help and give you a free quote. All Warmup floor heating systems should be installed by a qualified installer and the cost of this varies a lot depending on your location but typically you can expect to pay between £200 – 300 a day for an experienced tradesperson’s work. Most of our systems can be installed and ready to use within a bathroom in about 1 – 1.5 days. After installation, the system should be tested by an electrician. Underfloor heating is more cost-efficient than central heating systems. 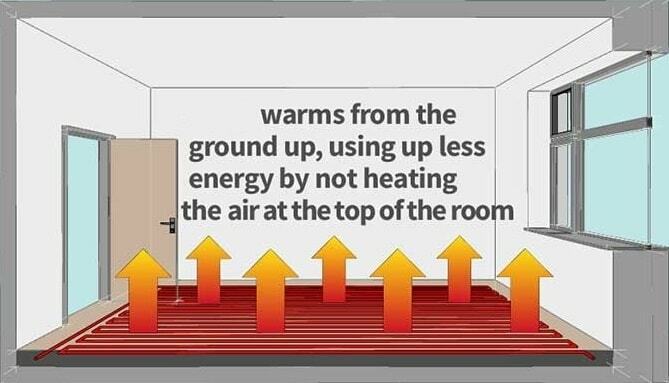 That’s because floor heaters run at lower temperatures than radiators whilst producing the same comfort temperature in the room. The running cost depends on the room size and the running time, as well as how well the room is insulated. As an example, if you have the system on for 2 hours in the morning and an hour in the afternoon over the winter period, it can cost just £22.75 over the course of 6 months (182 days). This is based on a 4m2 Loose Wire heated floor area and using a system installed on 10mm Insulation Boards. We’ve used 12p/kWh as the energy price in this calculation. One of the greatest benefits of floor heating is its increased energy-efficiency. Underfloor Heating uses radiant heating to run at lower temperatures than traditional central-heated radiators whilst still giving out the same level of heat. Floor heating also heats the room more evenly and quicker too, eliminating energy wastage and therefore offering you savings on your heating bills. Warmup Insulation Boards installed underneath the floor heating system dramatically cut back further energy-wastage by making sure no heat escapes downwards to the sub-floor. The insulation boards push all the heat from the system to the surface of the floor surface, also reducing the heat up time of the system. Our testing has concluded that Insulation Boards can cut heat-up times from 2.5 hours to just 20 minutes. The faster the floor heats up, the more cost-efficient it is to run so investing in Insulation Boards pays off as this will save you money in the long run. Using a Warmup Thermostat to control your bathroom’s underfloor heating system can maximize on its energy-efficiency and produce even greater cost-savings. Warmup offer a range of underfloor heating controllers, from simple dial-based thermostats to the programmable 3iE Energy Monitoring Thermostat and the technologically advanced 4iE Smart WiFi Thermostat. The 4iE is easy to use and using it with its partnered MyHeating and AutoSwitch smartphone apps can achieve savings of up to £378 a year on your energy bills. Controlling your bathroom’s heating through the MyHeating app or its browser-based portal also offers automatic heating, making sure your bathroom is warmed to your ideal temperature when you need it and running efficiently when you don’t. When renovating and thinking of getting the system for your bathroom you should get a heat loss calculation done to ensure the system’s heat output meets the heating requirement of the room. In simple terms, this is to find out how much heat escapes from your bathroom. The heat loss calculation evaluates how much heat output you need to keep your home at an optimal comfort temperature. Our expert team is available to help you and give you an estimate of the heat requirement of your bathroom and the type of underfloor heating system you will need. 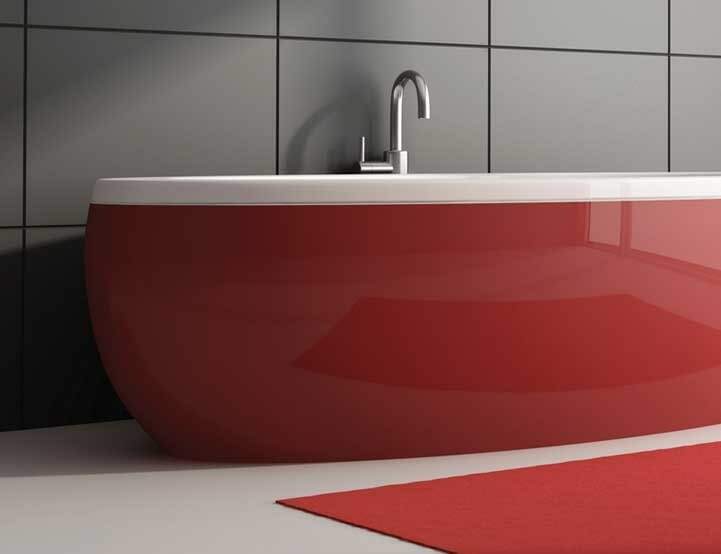 Get in touch with us and start planning your dream bathroom today. Signing up to our Newsletter keeps you informed of Warmup promotions, product updates, news and more.